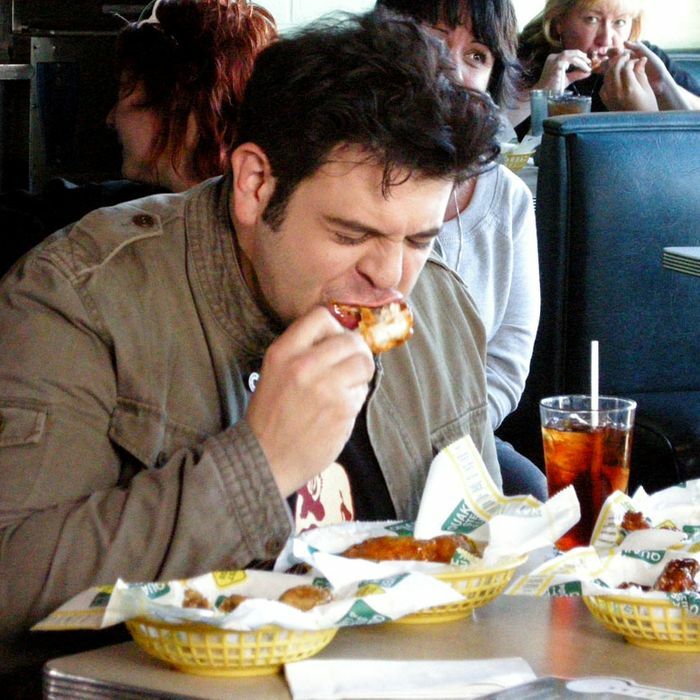 Adam Richman quit Man v. Food in 2011 partly because all that made-for-TV gluttony was taking a serious toll on his body. Since then, however, the show’s become strangely popular in parts of the Middle East and Asia, and Anthony Bourdain told a crowd this weekend he’s pretty sure that’s not just because Libyans, Afghans, and Iranians are living vicariously through ghost-pepper chicken-wing binges. In Atlanta for his Close to the Bone tour, Bourdain told the crowd that, to overseas viewers who are maybe unfamiliar with America, a show like “Man v. Food is basically a recruitment tool for ISIS.” His point was of course that a show premised on pigishness is proof of foreigners’ suspicions that America is full of fat idiots. Considering the Parts Unknown host spends plenty of time in areas of the world where people might be suspicious of America to begin with, the jab maybe wasn’t entirely a joke.